Almost one year ago, I asked Is There a Typical Rheumatoid Arthritis? That was the night I sat in a hotel room reading case studies about Rheumatoid Arthritis in the DIP joint (fingertip) after a not-so-enlightening visit with a character I now call Dr. Dip. 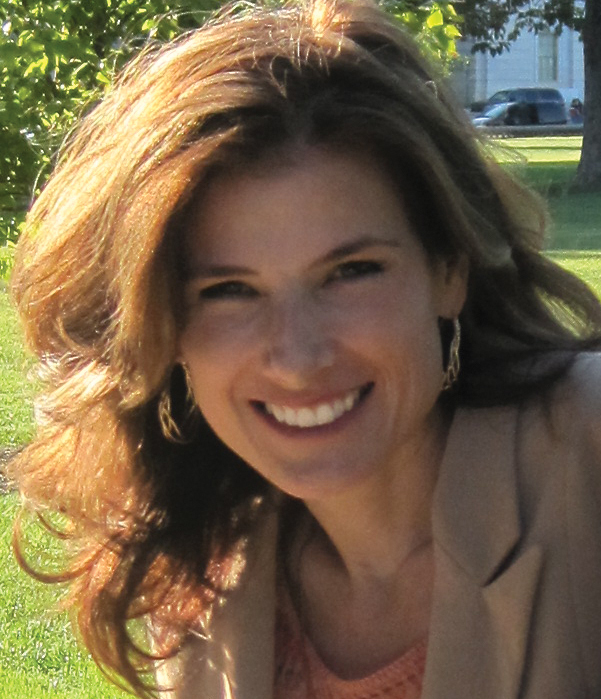 I had no idea whether I had classic Rheumatoid Arthritis. My joints didn’t read any books. 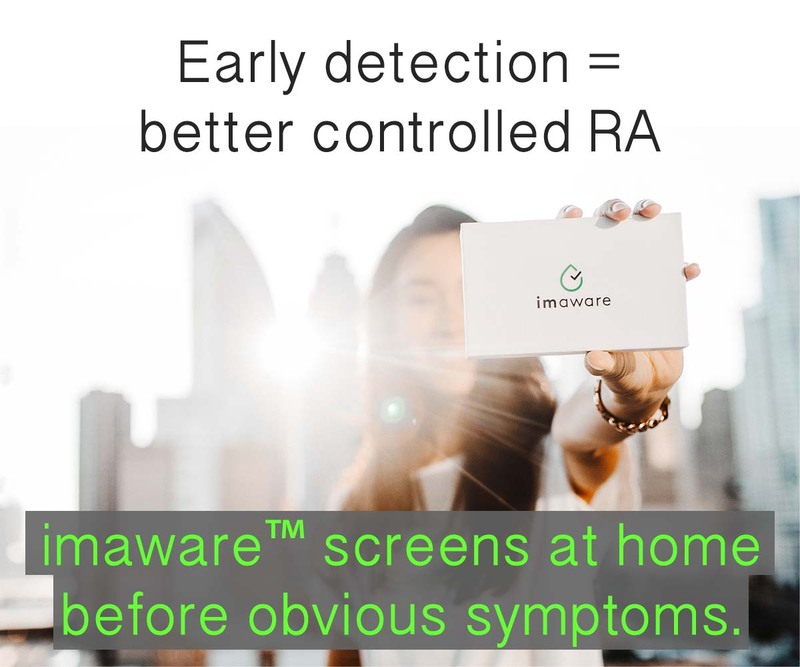 I didn’t know many other RA patients personally. My blog was only a couple of months old. My website was still a daydream. Dr. Google was the best doctor I’d met at that point because he was totally objective. Doc Google never said, “Joints don’t do that.” Or “You can’t get RA there.” Or “You don’t look sick to me.” I just searched and found. Black and white. Is there a classic Rheumatoid Arthritis? It’s been a year of the same thing over and over: asking and searching, finding and reading. But some things are not the same. I’ve read tens of thousands of comments and emails and messages from RA patients all over the world. Some I’ve talked to on the phone or in person. A handful of them have become good friends of mine. Their lives have informed me. What else is not the same? I finally got over the heartbreaking visit with Dr. Dip and found courage to try yet another rheumatology specialist. I found a good one whom I’ve learned from. What else is new? The American College of Rheumatology changed the guidelines used to diagnose Rheumatoid Arthritis. You can read how I reported on that blockbuster last October in a series about defining RA and why it matters. The ACR guideline is where most doctors look if they want to find out what classic Rheumatoid Arthritis is. What else? My RA is another year older and another year worse. What are classic Rheumatoid Arthritis symptoms? Just how many patients does it take before something is considered typical? Can we figure out once and for all what typical or classic Rheumatoid Arthritis is like? If anyone should know, I say it’s the patients. We know our own RA and we actually listen to and believe one another. What do you think are the 6 most classic symptoms of RA? I know there are dozens of different symptoms, so try your best. What are your own most significant symptoms? I know it’s hard, try to keep it to 6 or fewer. Do you think your own Rheumatoid Arthritis symptoms are typical? Does your doctor? This week, I realized that meeting Dr. Dip was enlightening after all. If that guy hadn’t acted like such a typical dip, I might not have been so aware of this problem. 1.Stiffness IN all joints 2.swelling warm inflammed joints in all joints 3. fatigue 4. body aches 5.eye itching. 6.depression. the main ones for ME. Roxie, Thank you for your list! Have a good day my friend. I have never ever heard of the eye itching symptom but my eyes itch all of the time and just assumed it was allergies. I was going to get allergy meds for it but just refuse to add one more med to my arsenal. Just something to make me even more tired even though they say allergy meds are non drowsy. Cynde, Have you seen the ophthamalogist? It could be caused by dryness (Secondary Sjorgren’s syndrome). My RA doc did not find mine – I had to be assertive about this. Eitherway, an eye doc is a good idea for RA pts every year. Thanks Kelly, I just never ever thought eyes itching had anything to do with RA. Now, I must say that strangely my contacts have just popped out of my eyes when they haven’t done that in the 30 years I have had them. Probably because my eyes are so dry. I guess I will add it to my list of dr. calls. Cynde, have you tried any OTC eye moisturizers? They have watery ones for day and thicker gel ones for night. Sometimes, that’s enough and you won’t need one more script! Also, my eye dr. told me to take Omega3 for my eyes and it helps when I do it regularly. My eyes are always driving me crazy. I have to put the dry eye ointment in them every night. If I fall asleep or forget to put it in at night I have so many problems the following day. My eyes are so dry its like sandpaper rubbing my eyelids. I used to use Puralube ointment, but they stopped making that. I use Refresh P.M. now because it has the metal applicator that puts out a smaller amount at a time. If you love your pillow cases I suggest getting an older one for the top pillow because the ointment does get on your eyelashes/pillow at night. Good luck everyone! Thanks, Kari. Me too. I use a gel. It has helped. eye itching? really? My eyes drive me CRAZY! I had never heard that was a symptom of RA. They itch and get randomly goopy and teary. Wow. I’ll have to ask my doctor next time I’m there. My eyes water all the time. Never occurred to me it was RA related! I think it’s the feeling of malaise. That “hit by a truck” feeling that lasts longer than a typical bout with the flu. I have a question for you and since you are have my up most resepct I could not think of anyone else I would want to ask. I am soon going to start Rituxan infusion and I was wonding if you knew anything about it or have any experence with it. Thanks you for being there for all of us. Dave, we have lots of friends of the site who are on that treatment. It’s helped many of them to do better with RA. It is a personal decision as I wrote recently here. If you have not had success with the TNF inhibitors which are usually tried first, then you have 3 choices to try a completely different mechanism – IL-6 (Actemra), blocking T cells (Orencia) or B cells (Rituxan). The each have different risks & the problem is there’s no way to know yet! which one your type of RA will respond to. There is a risk of a rare brain disease PML that some say is linked to Rituxan so you can look that up. But there have been only about a half dozen cases out of may thousands of patients so it’s rare – like I said, they all have risks. As for me, I ask my doc’s view, read, and pray & just choose. Then I trust that I did the best I could & expect the best. Not very scientific. Here’s a link to a post that compares several of them in case you haven’t seen it. Here’s a Rituxan post. 1- swelling in the joints. 2- chronic joint pain and stiffness. 3- chronic fatigue. 4- Insomnia. 5- joint deformaties. 6- muscle pain and weakness & nerve damage. OMG….I could continue with a huge list but will leave it there. Fatigue, swelling, stiffness, depression, loss of mobility, indescribable pain. Nausea, fatigue, stiffness, pain, depression/frustration, isolation. I don’t actually see a doctor because of my lack of insurance. It seems to be a normal thing for me though. I’ve had RA since age 4 and it hasn’t really changed that much. 1. Pain (and lots of it) in several joints. 2. Stiffness after any period of inactivity, worse when waking. 3. Chronic exhaustion or fatigue. 4. Loss of motor skills or inability to manipulate small joints. 5. Depression. 6. Insomnia. In my case, the pain in my feet when I woke up was what first really got my attention and forced me to accept that something was very wrong. It wasn’t until a year later when I had my diagnosis and began to understand more about this disease that I realized all the other symptoms had been present for quite some time. Now, I recognize that my body had been symptomatic of RA for at least 4 years prior, and all the while my Primary Care Physician was treating me for everything from Hypothyroidism to Shingles. yes, my symptoms are typical. I hear a lot of the same. My joints are beginning to show damage in my feet and hands and somedays I can barely walk or do steps. I also have Fibromyalgia and a goiter in my thyroid so I am hypersensitive to all drugs so I am having difficulty finding one that I can tolerate and works. I suffer a lot but, keep on going. I hope all find a good Doctor and good treatment. Before my own dignosis I knew a bit about RA (enough to know it is an autoimmune condition and not the same thing as OA) and would have said the “classic symptoms” are twisted “pretzel” joints, pain and severe disability. That’s because the only person I knew to have RA, my BIL’s late grandmother, was severely affected and those were her visible symptoms. Now I guess I’d say the six “classic symptoms” are pain in multiple joints, fatigue/decreased stamina, decreased range of motion (particularly in shoulders and/or elbows), morning and/or evening stiffness, swollen/”puffy” fingers, and some degree of deformity of fingers and/or toes. * What do you think are the 6 most classic symptoms of RA? I know there are dozens of different symptoms, so try your best. * What are your own most significant symptoms? I know it’s hard, try to keep it to 6 or fewer. 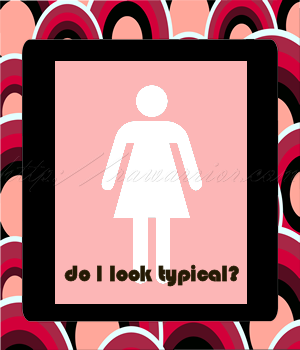 * Do you think your own Rheumatoid Arthritis symptoms are typical? Does your doctor? What it is? : 1. Chronic pain (mine feels like its always been there but just kept getting worse over the years/decades); 2. chronic fatique (even little movements take everything you have); 3. nodules that pull the skin and/or push against the joint (ones that group themselves are the worst); 4. swelling (that makes fingers and toes look like sausages cooking with such heat that they feel like they’ll explode); 5. sleeplessness/insomnia; 6. rotating fingers and toes (the pull that makes you wake up crying); 7. spinal damage (yup, joints there too). What is it not? : 1. weight loss (if you can’t move…? ); 2. fever; 3. “RA Positive” results (just open your eyes and see for yourself). What doesn’t get addressed? : 1.Fear. Knowing what I have is so mild by comparison to others that I sometimes wonder if 1) I’ll be strong enough to cope, 2) mentally prepared for the ‘no longer’s and the dreams lost, and 3) supported enough to be cared for as it swallows me whole. What gives hope? : 1) Your website give comradery, education and suggestions – I’m grateful; 2) the laughter of my children; and 3) changes in analysis, recognition and treatment for RA. What I hope for? : A cure soon enough for me to enjoy some of it. Does anybody else get splits in the ends of their fingertips? I do and they get so sore I can hardly stand to touch anything! My fingernails are like tissue paper no matter what I do, nail hardening polish, calcium, gelitane capsules, vitamins, etc. I think it is the bone fragments working their way out of the ends of my fingers, that is what it feels like, just like there is a peice of glass in there! Very painful, red and irritated! Anybody else? I just experienced this iin 3 nails – forefinger and both great toes. I am so thankful to talk with you and others on this site. I don’t feel so isolated now. Jane, Can you take Omega 3 i the form of flax seed oil or meal? I have suddenly developed strong, no-split, fast-growing, hard fingernails, and I think it’s the flax seed. Can’t hurt, and helps joint pain, too. Hello all. This is my first post here. I’m so glad to have found this website, and all of you! 1. Constant pain 2. swelling and stiffness in joints 3. fatigue and muscle weakness 4. dry eyes and mouth 5. a feeling that something isn’t right, that your body isn’t functioning properly 6. depression, feeling overwhelmed. I so agree with you on the feeling that things are just not right in your body. I say that all of the time! Just feel off. So glad to read that somebody else feels that way. The only thing’s typical for my hubby were the blood test results and the eventual bone damage. The first atypical thing is he is a male. Less than 10% of men get R.A. That delays diagnosis. Then the other eapected typical symptom is that it affects both sides of the body at once as in, if you get it in one elbow the other will flare up the same time or very soon after. Hubbies doesn’t. His disease has been described as wandering. My pain started in my right hand fingers and right side toes and generally even when the left side is bothering me I only see visible swelling in those right fingers and toes.. I also have other joints that come and go with pain. Generally mild. I was diagnosed within a week of my first symptoms after the blood tests came back but have never seen myself as fitting the bill when I see how ravaged other RA patients are. I do have 2 joints in the right hand that are causing my fingers to twist very slightly approximately 1 year after diagnosis but other than that I seem to be doing pretty well.. I do wonder if starting methotrexate so quickly has not slowed it down or if in fact I just am lucky and have a very slow progressing disease. It started off so dramatically but most of the time I can almost convince myself I don’t have it.. I also have confirmed dry eye and take steroid drops and other lubricants as they certainly do drive me crazy. 1. Extreme stiffness, upon waking and or after being still for any period of time.Causing extreme pain! 3. Inflammation, causing extreme pain. 5. Sudden onset of inability to move any and all joints!Causing extreme pain. Later: pain, destruction of joints, deformities of joints, heart problems possibly associated, Sjogren’s syndrome, neuropathies of legs, Reynaud’s Syndrome, wasting of muscles, ruptured tendons, many surgeries–and in my spine: scoliosis, stenosis, spondylosis, sciatica,osteoporosis, compression fracture, unstable cervical spine, as well as both kinds of arthritis. We’re looking at 54 years here, during which I raised children, supported myself with music performance, etc., etc., and still write and do photography, so don’t let this frighten you too much. You can still have a wonderful life–just that’s it’s challenging. Sudden onset of unusally harsh pain usually in hands and or feet. Constantly having the feeling like when I had just gotten over a very high fever, the drained, dazed, and I give up feeling. Having unrelated pains in different areas so that people think you are crazy and just lack attention. Depression and a feeling of hoplessness as you begin to see there is no end to this and no one cares because you have no name for it. One day out of no where it just takes your body down, you cant function at all hardly , I became like a rag doll and limp all over, just getting up and grabbing what ever you can to go to the restroom and falling back into bed. for me this lasted 3 days. Not being able to hold on to things or getting ahold of something and you cant let go of it. Very suddenly, within weeks, and persistently since (1-3/4 years): Sharp pain in shoulders, clavicles, forearm tendons, wrists, base of thumb, and forefeet; clicking and sharp twinges at base of skull; not able to raise arms or grasp things; spongy wrist and thumb joints; general malaise and weakness. Also, at onset loss of voice for a month. Ginger, I have the same at the base of my skull every day. I hope you can get your dr to keep an eye on this – it can be unsettling, can’t it? I know this is going to sound stupid, but I was having the exact same pain at the base of my skull. I was used to sleeping with two pillows, but I switched to one new pillow (it’s a feather foam hybrid) and the pain went away. I don’t know if it’s coincidence or not, but it hasn’t come back. In no certain order, joint swelling and stiffness, fingers hooking, pain, big time fatigue, extreme stiffness in my wrists and ankles, periodic numbness in my hands. Okay six things, 1. Joint pain starting to be all over 2. Lack of strength in hands 3. Unexplainable Swelling of joints(no matter the weather)4. Fatigue 5. Deformity 6. Spinal Fusion(they call it degenerative disc disease) I say it sounds like RA to me. I like Lora saying Malise, pretty much somes it all up. I also feel anger, sick of there being more Unknowns then Knowns when it comes to RA, Angry that it as taken away the one thing I love to do, RUN , but it wont take away my Spirit. I will not let this beat me. I stop doing not because of RA but because of exhaustion. Top 6 for me: FATIGUE, muscle pain all over, stiffness, tendon pain in hands and feet, joint pain, feeling like people just don’t get it. As far as whether my doctor thinks it’s “normal” RA– she’s never said otherwise. We’ve never really discussed it. Also, I have a pointy painful nodule that sticks out from the side of each wrist. Typical? Don’t know. I think of course the joint pain, swelling and stiffness is pretty much typical. Besides those I would say horrific bone dropping fatigue, feeling like your body is just off and not right, depression and isolation, feeling sick to your stomach and fluish, and the constant sharp locking and crunching, popping of your joints without warning. They just about bring you to your knees in pain. You can move a certain way 20 times but it is that 21st time where without warning it hits you with a sharp pain that feels like somebody is stabbing you with a knife. 1) Itchy, watery eyes and very red. 2) Chronic pain in forearms, then shoulders, hips and then jaw. 3) shooting pains that almost feel like a static electricity x 10 in different areas at different times. 5) Respiratory infections repeatedly due to low immune. 6) Inflammation setting into hands, feet, etc. I do not know if I am typical. I know my doc is puzzled at the aggressive nature of my RA. I do not know any different though. My Mother, Grandmother and Uncles all have/had very aggressive RA. When my family does it. We do it up GOOD!! ;) I have Sjogrens syndrome and fibromyalgia as secondary diagnosis’s. The destruction this dreadful disease has done to my body in the last few years does not make me feel typical. But, please someone tell me what is typical. Wonder why he is puzzled? Can you ask him? I hear this a lot. folks say: My doc is puzzled. That was my reason I went in search of a new doc a while back – Doc kept saying “I’m puzzled.” Why? It was unsettling to hear over & over. Your symptoms seem much like the rest of ours…? Just venting, Char. Thanks for participating my friend. I would say that I’m pretty much in a remission. My second in 12 years. I’m hoping this lasts longer. I’m not going to STOP taking the metho just because I feel good. That was the mistake I made last time. My pain is mostly gone except after prolonged periods of activity. So I would say that my top 6 symptoms are fatigue, fatigue, fatigue, fatigue, malaise, malaise. Were it not for those 2 symptoms, I don’t think I’d feel that bad. I hope the rest of you can find you way to where I am so that your top 6 symptoms are only 2. I’ve been where all of you are, and stay focused, determined, move when it hurts (trust me, it helps), and think positive. Envision yourself in remission. I told myself I would get here each time. read everything you can about RA, ask your doctor and if you don’t get answers, ask other doctors. I interviewed docs several years ago when the one I really liked had an issue and shut his practice. Fatigue and malaise. I guess it’s not SO bad. And maybe being almost 50 means no matter how good my health is, I wouldn’t be able to do what I did at 25, right? Joint pain/throbbing, swelling, and redness. Skin inflammation and redness (some itching)on my forehead. Do you think the depression is caused by the other symptoms? I think the depression is from the fatigue and from the idea of RA and the fears I have for the future. I had noticed that once the doctor added methodrexate to my regime I had a marked improvement in the depression. Also my husband is starting to understand more, that helped too. When I get really fatigued, then I cannot pretend anymore that I am not worried. I think it is multifaceted. My rheumy actually wanted to put me on antidepressants straight away and send me to a counsellor. I was able to handle it myself. Since I have found this site, I go here when I am hurting and depressed. It has really helped to know that everyone else is going through the same thing. Brandi, I’m glad you are finding support here and with your spouse. The need for anti-depressants & counseling is common w/RA and nothing wrong w/ that. However, finding information & understanding may address the root problem as you show. Plus, your improvement w/ the mtx demonstrates another very important point: That the depression of RA is usually greatly improved if symptoms are relieved. Patients are depresssed because of their physical pain and limitations – not the other way around. 1. severe pain in multiple joints: hands/wrists, toes, hips and shoulders are my worst right now (that could change tomorrow). This disease has beaten down a once, very strong woman. I try to fight it everyday, but at the end of the day it comes to me taking my vicodin and going to bed. Kelly and this site have helped so much thru the really rough patches. I know I can work thru this one day at a time, but knowing I have to deal with this the rest of my life is very frustrating. BTW, my eyes drive me crazy! I thought it was all allergy related, but maybe there is more to it. Thank you to Kelly and everyone else on this site….just for being here. So grateful to find your site! 1. Pain in hips, feet, hands; 2. Fatigue; 3. Weakness; 4. Experiencing “The Usage Principle”; 5. Stiffness; 6. Sadness that I can’t do things I want to do. Welcome aboard, warrior Phyllis. It’s a little easier to fight together. 6 “typical” RA symptoms?? Gosh I hate even thinking about trying to answer it. 1) Pain in joints (usually occurring on both sides of the body) ie, both hands, both knees, both feet, etc. OK, having posted those, we all know that there is NO typical RA. I thought there was at some point, but after hearing everyone talk about their experiences, we’re all different. I have 4 of the six above…but almost no swelling even when I am in excruciating pain and my levels are up. I have very little joint deformity, none that is easily seen by others. I have issues with my throat. And I almost always have a low grade fever at night. Another biggie for me is Depression…its almost as debilitating as the RA some days. I think my symptoms are as typical as the next person, by my Rheumy has already said I have Atypical Rheumatoid Arthritis…just because I have little to no swelling. Thanks, Kathy. Have you already read the ‘swelling” post in February? About 150 comments to look over. How do you feel about what your rheum doc said? Yeah I read it Kelly, a few months back when I was at my wits end and in tears thinking I was losing my mind. I know that my Rheumy doesn’t doubt the RA as my levels are always high and I have so many other symptoms. I think he just doubts how much pain I am in as there is no swelling and what pain I’m in he thinks my possibly be FMS. I find it frustrating, and maddening. The article and the comments helped though as I know that there are many of us out there with so called “Atypical” RA. I just have to keep pushing and being an advocate for myself, which has always been a problem. I’m one of those who just nods and says ok whatever you think. When I see him in October, I’ve got a list started for him of questions I have…and all the symptoms I’ve had over the last several months. First I wanted to say thank you to everyone that wrote about their symptoms, because I have been newly diagnosed and I thought some of the things that I had been feeling where just everyday life. Here are some things that I have felt. I was diagnosed 18 months ago from an ultrasound on my finger joints as there was no rhumatoid factor in my blood tests . 1.stiffness in morning and after rest or just sitting for a while. 4. Tiredness and being able to sleep & sleep. Narrowing it down to 6! 1. Pain in joints-anywhere from a mild ache to feeling like my bones are being crushed. 2. Hot, red swollen joints. So hot I can feel them through my clothes, though this is much better since my meds kicked in. 3. Feeling flu-like. Running low-grade fevers when I am in a flare and feeling generally crummy. 4. FATIGUE! Unlike anything I have ever felt. Never quite goes away unless I am on prednisone. 5. Stiffness. Comes and goes. Sometimes have none. Sometimes only lasts a few minutes. Sometimes am like the tin man. Can’t figure this one out–though it is worse when my disease is more active. Doesn’t necessarily correlate with other symptoms. 6. Hmm–only one more? Dryness. Dry mouth, dry eyes, dry everything. Probably secondary sjogrens. Or maybe medication side effect. Drives me crazy. I’m not your doc, but Secondary Sjogrens seems typical to me too. Thanks for the input. 1. PAIN! Pain in my collarbones (shoulders actually), hips (unable to lay on either side) shooting pains down my shins. Morning stiffness. 2. TIRED/MALAISE! Tired all the time, feeling like I am moving in slow motion, exhaustion, unable to walk around. Feeling sick, feverish, bad, awful, like the flu. 3. PHANTOM SENSATIONS! Up and down my spine, almost as if someone was running their hands up and down my back. 4. SKIN RASHES & HOT FLASHES! I developed skin problems, something that seemed like pimples on my face, red face, rashes on my right ring and middle finger. Hot flashes, flushing, feeling feverish. Possibly allergic reactions to nightshades. 5. INSOMNIA! I was up all night! I was in too much pain to sleep, I cried A LOT!!! 6. DRY EYES! Dry red eyes and sores inside my nose. During the time that all of these things were happening I was going to school full time and had just given birth to my fourth daughter. I repeatedly went back to the PCP only to be told that there was nothing wrong, it was anxiety, post partum, bla bla bla. It was none of those. It was RA. My two years of misdiagnosis caused me a lot of emotional distress because it left me feeling that there was no end to or relief from the horrible physical pain I was feeling. It left me feeling hopeless. When you develop RA why don’t you let me know if it comes on suddenly? I don’t think it does come on suddenly. Thank you for sharing, Ruby. Mine came on slowly over many years and then got much worse suddenly shortly after a childbirth. I have heard of many different patterns – maybe there is more than one “typical” pattern, but many people say they had symptoms for years before diagnosis. Do you have a new doc now? RA started with hands and fingers that didn’t work properly. RA ongoing is Sjogren’s syndrome and dry mouth. RA is medication side effects and bad interactions. RA is limitations on all aspects of my life. RA is fatigue, thick and gluey, as clingy as a scared two year old and just as hard to get away from. 6 most common symptoms…fatigue, swelling, stiffness, redness, low grade fever, pain. My most significant symptoms…pain, fatigue, restlessness, lack of strength. I would consider my ra typical. My rheumie hasn’t described it as anything other than ra. Oh goodness I forgot the biggest one…FATIGUE !!! the indescribable pain – the all consuming cannot think straight hurt. That one I know about. True. Now to get everyone else to believe in it. From reading the other comments it seems like although there are commonalities, there is really no “typical” RA patient. The symptoms and responses to treatment are so varied! I was diagnosed finally about a year ago (after two years of my health going downhill and the pain becoming increasingly worse). For me the top six symptoms are: 1. Pain in joints (Doctors always ask me which so… neck, shoulders, elbows, wrists, fingers, knees, feet, toes mostly) 2. Stiffness 3. Mind numbing fatigue 4. Swelling of joints 5. Corresponding muscle weakness around whatever joint is bothering me 6. Any cold lasting weeks and triggering asthma. There’s also the issue of changes happening internally so that my doctors feel that the RA is affecting my kidneys, liver and heart. This has stablized for the moment however. The good news is that my treatment of Methotrexate, Plaquenil and Folic Acid seems to be working fairly well — as long as I also get enough rest (up to 14 hours some days), stay away from salt, stay hydrated and keep my sense of humor. Thanks, Rosa. Good points. I’m glad the treatment is working for you. mine seem just a little different…i dont know i hope i’m not alone with this but here it goes..
1. cronic hives..sometimes as big as dinner plates!! 2.cricoaryenoid (sp) arthritis..the worst thing in my life. Almost forgot….never had swelling except once when i was coming off prednisone. forgot to say nodgles…i have those as well…under my toes and on my fingers…yikes!! !do they hurt!! 1) Swollen, hot joints. Sometimes, even with meds, the heat that can generate from a joint area can make my other skin feel ‘cold’! Moderate levels make it feel as if I’ve stuck the joint in very, very hot water for a while. 2)Joint pain. From general aching and stiffness at best, to sharp in the joint pain that feels like someone has got a sharp needle or knife and driven it in there. You cannot describe it. I also have Osteoarthritis, which pre-dates my RA – and there is NO comparison. 3) General fatigue. A job that used to take minutes can now take hours, or even days, and I can sometimes sleep for a week! 4) Morning stiffness, and end of day stiffness. Not to be confused with point 2 I talk about. These are different in that I effectively ‘seize up’ all over, inc. muscle stiffness while asleep, and as the day wears on, it begins to return. The more I do, the quicker that happens. 5) Finding that I need to surround myself when sleeping with soft pillows. I’ve also had to go for a mattress foam top, because I felt like I was sleeping on concrete, even though it was a new mattress that was fairly soft. 6) No strength in hands or fingers (severity changes each day). This means opening jars, pill bottles or even trying to pop a pill out of a foil packet becomes a marathon. 3) Swelling and heat from joints. 5) I have real problems now with rashes. Have to really watch my washing powder for example (have found only 2 I can use so far, both environmentally friendly that is great, but cost a fortune). 6) Regardless of where I sit, or lie – never being comfortable for long. Yes, although my Rhuemy took ages to decide it was RA, because I was showing Sero-neg bloods. But did treat with RA drugs to begin with (which I always found strange, if they didn’t think it was RA). I can’t remember the name they gave to begin with, but after time, they modified their diagnosis. 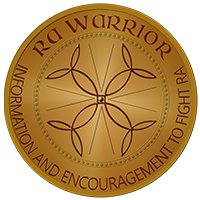 I’ve always thought I had RA though when reading others symptoms etc, because for the most part they have nearly always mirrored mine. Number Six: Feeling this bad with a negative RF & SED rate normal….Feeling invalidated just an invalid…. Sorry I forgot there has to be a Number Seven… Sweating profusely feels like a fever. 1. Joint pain – ranges from annoying achiness to sharp pain; swelling only occurs in hands.